The Jim and Patsy Rose Library is a multimedia facility designed to support teaching and learning at Cleveland Community College, as well as the needs of the administration, staff, and community patrons of the college. Collection development criteria are designed to enhance the capacity of the library to meet this goal. Any patron may make suggestions, which will be evaluated using criteria outlined in the Collection Development Manual. Because faculty members have the most direct involvement with the teaching program, it is particularly desirable that they take responsibility for selecting materials in their respective fields. Faculty members are encouraged to submit requests and may do so by completing a book order form in the library or by using the Request for Materials Purchase Online Form. You may also contact Emily Von Pfahl via email. Include your name, department, and as much information as you have on the item you want to request. It is also helpful to know which course you are ordering the material to support. If you are interested in finding materials appropriate for the collection, you can search any of our academic databases for book reviews. If you are on-campus, our periodicals section on the second level of the library is also of interest. Print journals in most subjects include reviews of new books in that discipline, and Library Journal contains hundreds of reviews each month. In addition, we subscribe to several useful online databases. WorldCat is a catalog of materials held in libraries worldwide. This is a good database for locating books and videos. The library also receives catalogs from publishers and distributors. Subject-specific catalogs are often provided to faculty in that field, who may then indicate their suggestions for items worth consideration. If you are interested in participating, please contact Emily Von Pfahl. When titles in the collection are reported missing, those requested for teaching purposes and still obtainable will be replaced promptly. Titles for which there is no immediate need may not be replaced for a time. Materials judged no longer appropriate for the collection will not be replaced. 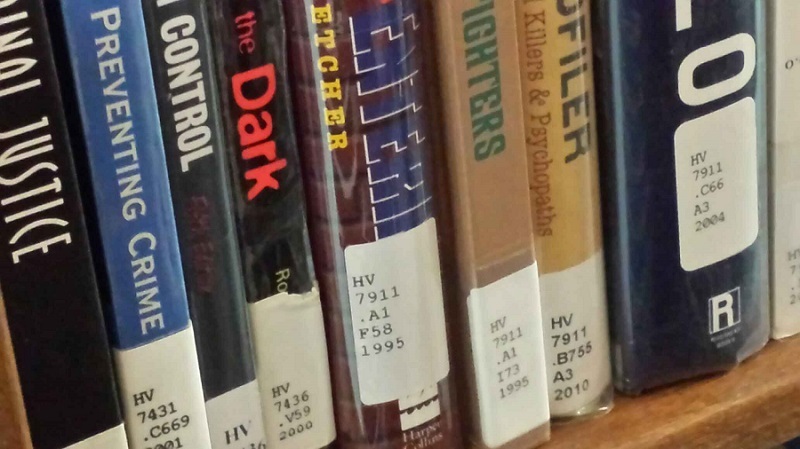 The Library purchases duplicate copies only in cases of demonstrable need, such as when the number of students in a class or program or the concentrated use of material demands multiple copies. Because of the repetition of information often included in them and because they are often quickly outdated, books published solely as texts are added to the collection only when their usefulness goes beyond that of the typical textbook. Only in extraordinary cases are textbooks currently used on campus considered for inclusion in the library collection. Judicious and systematic discarding of materials is a vital element in collection building and maintenance. This process of weeding requires the same participation by the faculty as does the selection of materials. Faculty members are periodically asked to examine assigned areas of the collection and bring questionable materials to the attention of the librarians. Insufficient use or basic value. Worn or unattractive physical appearance.